We looked at the top 9 and dug through the reviews from 126 of the most popular review sites including New York Times Wirecutter, Tech Gear Lab, Tech Radar, Tom's Guide, Digital Trends, Engadget and more. The result is a ranking of the best . Our experts reviewed the top 9 and also dug through the reviews from 126 of the most popular review sites including New York Times Wirecutter, Tech Gear Lab, Tech Radar, Tom's Guide, Digital Trends, Engadget and more. The result is a ranking of the best of the best . These over-ear headphones by Bose boast first-rate noise cancellation and excellent sound quality in a lightweight, comfortable design. Built-in compatibility with Amazon’s Alexa and Google Assistant and a skip-free Bluetooth connection make this pair well worth the money. DWYM Electronics Experts plus New York Times Wirecutter, Top Ten Reviews, BestReviews, Tech Gear Lab, Consumer Reports, CNET and 7 more. Along with user reviews from Amazon, Walmart, Best Buy and Target.
" If noise cancelling is what matters most to you, the Bose QuietComfort 35 Series II is the wireless headphone pair to get—its noise cancelling ranks among the best available. On top of that, it sounds good, it’s exceptionally comfortable, and..."
"Audio quality isn't the best. Style leaves something to be desired. Audio leakage due to loose fit on some." Sony’s well-rounded headphones sound great whether you’re using their noise cancellation feature or taking advantage of their unique ambient sound mode. These headphones also have an impressive 28 hours of battery life and come in three sharp color options. DWYM Electronics Experts plus New York Times Wirecutter, RTINGS.com, Best Reviews Guide. Along with user reviews from Best Buy and Amazon.
" The most well-rounded headphone pair we tested, the WH-H900N sounds great, comfortably cancels noise, and has the best battery life." "Mediocre-at-best noise canceling. Very long charge time." The lone pair of wired, earbud-style headphones in our top four makes a powerful case for itself with surprisingly effective noise cancellation, secure silicone tips and a portable earbud design. Android fans might be turned off by the Apple-centric compatibility, but the crisp sound across all genres make these buds worth it. DWYM Electronics Experts plus New York Times Wirecutter, Consumer Reports, CNET, Tech Radar, Tom’s Guide, PC Magazine and 4 more. Along with user reviews from Amazon, Walmart, Best Buy and Target.
" The Bose QC20 came out on top because it provided better active noise cancelling than any other model we tested by far. In this regard it even bested the larger QuietComfort 35 Series II, our pick for the best over-ear..."
"Expensive; they don't sound as good as many competing in-ear headphones in this price range; rechargeable battery isn't replaceable." Sennheiser goes beyond standard wireless headphones with an entire wireless headphone system. The transmitter improves the audio quality of your home’s TV or entertainment system, making these a great pick for anyone who wants a more immersive movie-watching or gaming experience. DWYM Electronics Experts plus New York Times Wirecutter, Engadget, RTINGS.com, Best Reviews Guide. Along with user reviews from Amazon and Best Buy.
" If you’re planning on using your headphones for watching TV frequently, and you’re willing to spend around $200 on a pair of wireless headphones for use at home, we recommend the Sennheiser RS 165, which is that company’s current base..."
"But no one on our panel was thrilled with its sound in light of its higher price tag. We preferred our previous pick, Sennheiser's cheaper, more-balanced-sounding, and now-discontinued RS 160." We identified the majority of the available to purchase. 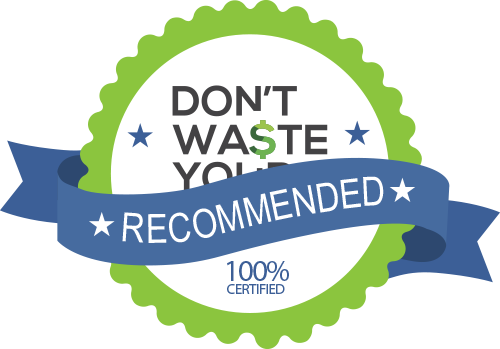 Reviews from our DWYM category experts and analysis of some of the most respected sources including: New York Times Wirecutter, Tech Gear Lab, Tech Radar, Tom's Guide, Digital Trends. Comfortable cups. Lightweight. Long battery life. Excellent noise-cancelling technology. Broad and clear soundstage. Amazing noise cancellation. Long battery life. Quick and hassle-free pairing. Superior noise cancellation. Light and very comfortable wireless design. Intuitive controls. Excellent audio quality. Long battery life. Outstanding noise isolation. Wireless and comfortable design. Good sound quality. The downside is that the aggressive noise cancelling produces pressure on the eardrums that some people (including most of our testers) find uncomfortable. Audio quality isn't the best. Style leaves something to be desired. Audio leakage due to loose fit on some. Battery isn't user-replaceable, and the headphone is heavier than the QuietComfort 25. Active EQ an acquired taste. Boring looks. App doesn't do much. Bass could be beefier. They sound terrible in passive mode, just use them wirelessly. They fold down pretty small, but they still take up too much room in the carry-on. This iPod/iPad/cellphone-centric model from Bose combines elements of in-ear and earbud earphones. Though the QC20i earphones are pricey, they deliver very good sound quality and excellent active noise reduction, the best of the in-ear models we've tested. The Bose QuietComfort 20 and 20i are compact in-ear headphones that sound good, are very comfortable to wear, and offer surprisingly impressive noise cancellation. The noise cancellation is powered by an integrated rechargeable lithium battery that delivers up to 16 hours of battery life. The best noise cancellation circuitry on the market. Rich bass response and crisp highs. Comfortable, secure fit. Works in passive mode. Excellent noise isolation. Simple, durable design. Comfortable stable fit from the StayHear+ tips. Expensive; they don't sound as good as many competing in-ear headphones in this price range; rechargeable battery isn't replaceable. Sound signature is very sculpted, and not for purists. Light on accessories like extra eartips. Headphones are huge right now. Music fans, gaming buffs and podcast aficionados spent more than $9.5 billion dollars on them in 2016, and that number is projected to balloon to $13.8 billion in the next seven years. There are multiple styles of headphones. Earbuds, on-ear and over-ear headphones are the three most popular types, and they’re all available in wired and wireless versions. If you’re intimidated by the number of options you’re seeing online or in the electronics aisle, there are a number of ways to narrow down the choices and find the best headphones for your needs. Earbuds, or in-ear headphones, sit just inside your ear canal. Soft silicone tips fit snugly inside your ears, and some models come with different sizes for a customized fit. Other models, like the Bose QuietComfort 20, have plastic wings that create a stronger seal in your ear canal for a more secure fit. Earbuds are available in standard wired versions, wireless versions (which connect around the back of your neck with a small wire but do not need to connect to your device with a wire), and true wireless versions (where both earbuds operate independently with no wires at all). On-ear headphones, which are sometimes called supra-aural headphones, are larger, with soft ear cups made from real or synthetic leather. They sit on top of your ears and allow more sound in while you’re listening, which makes them great for times when you want to listen to music without completely canceling out surrounding sounds. They’re also more lightweight and portable than heftier, full-coverage over-ear headphones. Over-ear headphones enclose your entire ear in soft ear cups. They’re the largest headphone option, and they boast advanced features like noise cancellation and higher sound quality than other types of headphones. They’re great for wearing indoors while you’re focused on work, playing video games or enjoying high-definition sound on your smart TV. They tend to be a bit bulky to take with you when you’re commuting, but the total noise cancellation option makes them great for long flights. Some over-ear headphone models, like the Sony H900N, have active noise cancellation as well as ambient sound modes for different listening scenarios. Other types of over-ear headphones, like the Sennheiser RS 165s, come with a transmitter that connects to your home audio or entertainment system for a more robust digital listening experience. You owe your favorite pair of headphones a salute. The first pair of modern audio headphones were picked up by the U.S. Navy in 1910 after being repeatedly rejected by private sector investors. Mormon inventor and engineer Nathaniel Baldwin invented them on his kitchen table; the Navy’s eventual investment made him a rich man. They ordered 100 pairs and sparked a headphone revolution. Unfortunately, Baldwin never patented them, so the German company Bayerdynamic made some serious cash when they created the first pair for home enjoyment in 1937. Baldwin also wound up bankrupt after using his payout from the Navy to make a less-than-sound investment in the Mormon polygamous movement. Whoops! If you’re picking out new headphones, the first order of business is choosing between wired and wireless. Wired headphones are generally more reliable, since they don’t rely on a Bluetooth connection to connect you to your music, but wireless technology is quickly catching up. You can get more bang for your buck in terms of sound quality with wired headphones, too, and you’ll never have to worry about your wired headphones running out of battery. However, the freedom of wireless headphones outweighs their downsides for many people, and high-end styles like the Bose QuietComfort 35 have up to 20 hours of battery life per charge. Next up: what activities will you be doing while you wear your headphones? Gym rats will benefit from earbud styles, like the Bose QuietComfort 20. Their cone-shaped silicone tips fit securely in your ears, staying in place during very active sweat sessions. Plus, the inline remote helps you answer calls or switch songs without fumbling with your phone. If you’re relying on headphones to help you focus while working from home or enjoying your favorite music, a pair of plush over-ear headphones like Sony’s H900N Headphones provide premium sound and comfort with active noise cancellation. You can use them wirelessly or plug them in for longer battery life. If your goal is to create a surround-sound home theater experience without disturbing roommates or family members, a pair like Sennheiser’s RS 165 headphones is ideal. They’re also full over-ear headphones with ergonomic ear cups, but their included transmitter creates a stronger connection to home speakers or smart TVs for immersive movie-watching or gaming. How portable do you need your headphones to be? Earbuds are lightweight and fit into a purse, pocket or briefcase, but wireless and true wireless versions are easier to lose. If you’re not planning on taking your headphones far from home, on-ear or over-ear options make more sense; you can enjoy their superior sound quality without worrying about hefting them around. If you’re going to drop your hard-earned cash on headphones, you’ll want to take steps to care for them to keep the music playing. Wired headphones need cable care; you’ll want to wind up the cable and secure it with a twist tie or velcro rope while not in use. Make sure you don’t leave your headphones in areas where it becomes extremely hot or cold (like inside your car during chilly winter days or hot summer nights). Those temperatures can damage the internal audio components. Keeping your headphones clean also contributes to their life span. Earbud-style headphones need special attention since wax buildup can affect sound quality and hygiene. Removing the silicone ear tips, rinsing them with warm water, and drying them with a soft cloth should be part of their regular maintenance. All types of headphones should be wiped with a damp, clean cloth and dried if they’re exposed to excessive sweat or moisture. Make sure to keep your charging port clear of crumbs and debris for reliable charging, and store on-ear and over-ear headphones in a hard case when they’re not in use. For the category, we analyzed 126 of the most popular reviews including reviews from New York Times Wirecutter, Tech Gear Lab, Tech Radar, Tom's Guide, Digital Trends, Engadget and more. The result is a ranking of the best .